← [Flash Sale] Dollz Jewelbox! A totally new collector’s chest has been added to the collection! Styliste-x2 offers you a chest on the theme of rhinestones and precious stones. Discover numerous unreleased elements to create a luxury and glamour atmosphere in your bathroom. For the occasion, the collectors’ chests by Nerikya and Altaria return until Sunday! 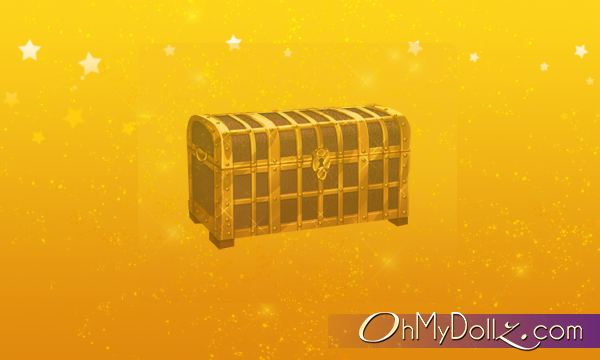 Each chest contains a batch of collector’s item, open the chest and get these items in your inventory! – A random selection will cost 15 $$$. Click “play” to launch the game and let luck choose an item for you from the list of the chest. Attention! The random selection is on ALL the items of the chest, doesn’t matter if you already have the item or not in your inventory. You can get multiple copies of the same item. – An accurate selection will cost 25 Fee’z. Selecting this, you can choose the item you want! – The option “Buy all” will let you obtain all the content of the chest at once for 499 Fee’z. It is the simple solution to get all the items! Once you have at least one copy of an item, it will be market on the list. This will let you know how many items miss to complete the elements of the list. Once you get all the items, the chest will be shown as “complete”. You can still play to get multiple copies of the chest’s items. There is a total of 20 items in each chest. Can I come back to the previous grids? If there are numerous grids available at the same time, you can change the grid as you want and for free. The grid will remain as you left it, with your slots already marked. So you can take advantage of your favorite grids! The collectors’ chests will be available until Sunday, December 31st 2017 at 11:59pm (Paris hour). Have a good weekend on OhMyDollz!